Understand the different surface options available when specifying for single-family and multifamily residential projects. Explain why high-pressure laminate surfacing products are durable, on-trend, healthy, and affordable. Warm. Modern. Professional. Whimsical. Whatever the design goal, interior surfaces establish a sense of place within the larger space, and surface materials play a huge role. A butcher-block countertop in a kitchen can present an upscale style, and colorful cabinetry mixed with custom ceramic backsplash tiles can offset a monochromatic countertop. 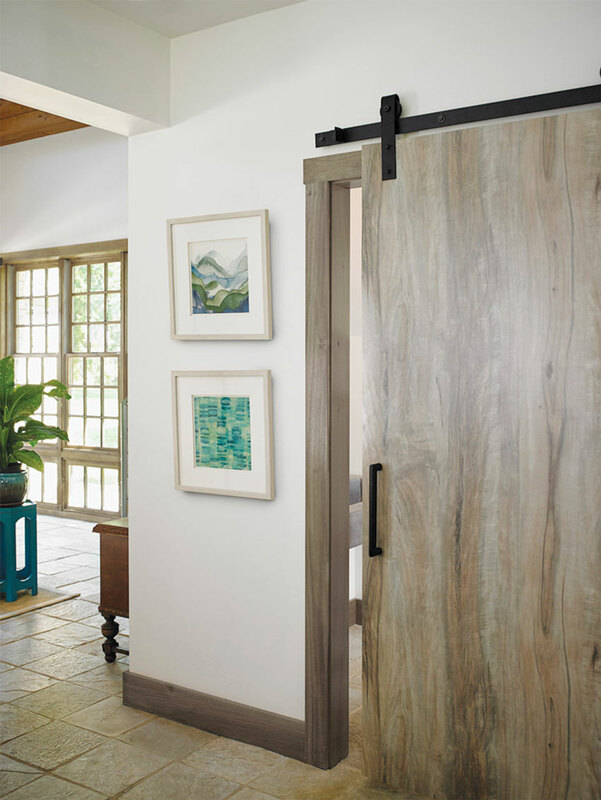 Wood features may evoke the warmth of a traditional home. 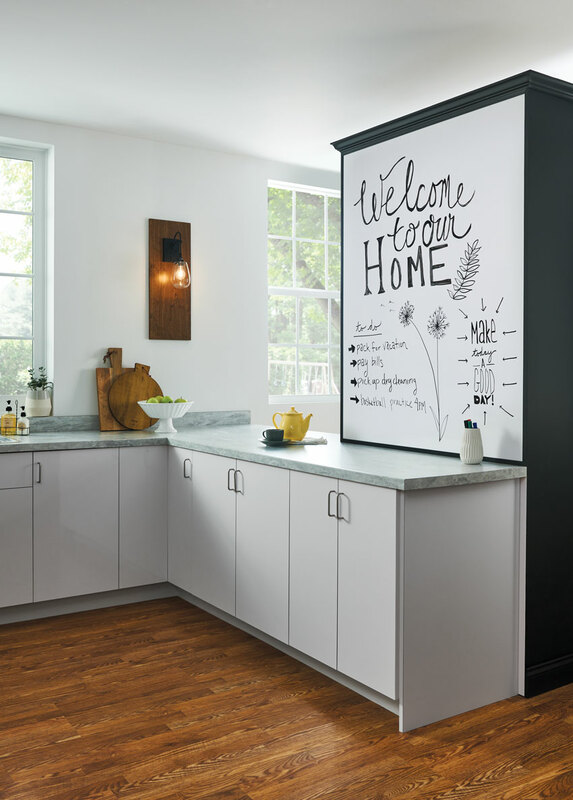 Newer, writable surfaces can turn a door into a chalkboard for children (or adults). The options and combinations are unlimited, especially with modern manufacturing techniques that can create engineered stone, thin ceramic, acrylic, and high-pressure laminate. When it comes to specifying products for interior surfaces in housing, architects and interior designers have a wide range of choices. Paper-based high-pressure laminate surfaces have recently made a comeback in the market for several reasons, including improvements in quality and style. With so many surface options available, choosing the right material for a project can sometimes be challenging. This decision can be even more difficult when designing for larger multifamily residential properties, where both affordability and aesthetics are often a priority for investors, owners, and tenants alike. Fortunately, there are some great high-quality products on the market that are easy to install and care for, last a long time, and won’t break the bank. These products let designers bring their creative visions to life. 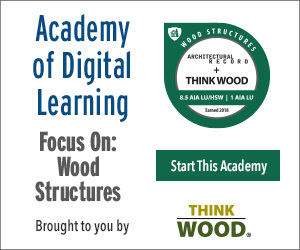 In this course, we’re going to walk through a few of the more commonly used surface materials and highlight the newer and more affordable options available to architects and designers for residential design. 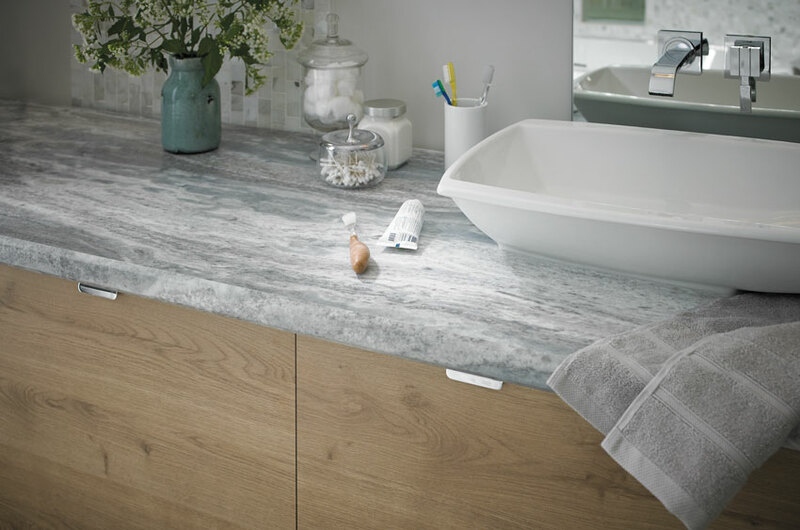 Specifying surfaces for residential projects can feel like an overwhelming task. Every material has its pros and cons, but once the client’s needs and design goals are clear, architects and designers can have fun with the process. Not surprisingly, many clients may have a certain aesthetic goal in mind, but they also have questions about the cost, installation, durability, and even health features of common surface materials. These questions come into play for both single-family residential projects and multifamily residential properties, the latter of which incorporate multiple residential units as well as the public spaces within the property. After all, in multifamily residences, common areas such as entranceways and front lobbies are the first things prospective buyers or tenants see, and surface material choices can influence that first impression. There’s a strong case to be made for specifying durable, attractively priced surfacing products over more costly options in both single-family and multifamily residences. Surface choices are one area where costs can be reduced while keeping quality high. Where surface materials traditionally focused on more utilitarian purposes such as countertops and flooring, new materials mean designers have a wide variety of options for almost every room in the dwelling, including cabinetry, permanent shelving units and bookcases, backsplashes, and doors. Architects and interior designers now have access to a wide range of high-quality materials that are eco-friendly, aesthetically pleasing, durable, and affordable. Natural materials such as stone and wood are rooted in more traditional looks, but they can be prohibitively expensive. Man-made materials such as ceramics, acrylics, and high-pressure laminates provide more options, as some can be designed to resemble stone or wood at a fraction of the cost. New or improved materials mean designers have a wide variety of options for almost every room in the dwelling, including countertops, cabinetry, permanent shelving units and bookcases, backsplashes, and doors. Single-family housing needs vary tremendously in regards to what people expect based on what they can afford and how they plan to use the space. It’s safe to say most people value materials that offer a combination of style and durability whether they are investing in the hottest new trend in interiors or simply looking for an affordable way to meet their interior design goals. Products that easily lend themselves to the do-it-yourself (DIY) crowd can be very popular, even if contractors do the installation work. And with the advances in both materials and design options, single-family homeowners now have almost limitless options for their interior designs—many of which are very affordable. Moreover, a lot of the more affordable options such as acrylic and high-pressure laminate surfaces have such a wide variety of colors, patterns, and designs that they may rival more traditional materials. And, newer trends in high-pressure laminates offer patterns that are almost indistinguishable from natural products (e.g., wood or stone), all while being highly durable and often much easier to maintain. These characteristics of durability, longevity, affordability, and easy maintenance are often at the top of the list for single-family homeowners. Regardless of the surface material they choose, they want it to look good for a long time, require very little maintenance, and be part of a clean and healthy home. Products that meet those characteristics—all while being affordable—open the design options in ways that were previously more limited. From the standpoint of architects and designers, stylish and affordable surface materials mean they can help their clients have the interiors they want, whether with bright, modern color choices or with faux stone or wood. And if it’s a natural wood or stone look, they can provide the look without the challenges of ordering and installing expensive, heavy surfaces that require specially trained installers. Meanwhile, homeowners get the interior style they want, along with the knowledge that the surface materials will last for years. Multifamily residential projects can pose a challenge for property owners as they try to balance economics with the needs of the occupants. Writable surfaces made of high-pressure laminate are durable and allow renters to add a personal touch to their apartments. Moreover, the aging population is having its own impact on this trend. According to 2016 numbers, approximately 1 million Americans were living in some type of senior living community. That number is expected to double by 2030.2 Architects and designers who focus on this design sector have their work cut out for them. With this growing demand for multifamily residential project work comes a responsibility to consider the many challenges and opportunities common with these projects, such as balancing the needs of the investors and property owner with the needs of occupants. Property owners, for example, generally want the project’s construction to be on schedule and on budget, with aesthetically attractive units that can be sold or rented quickly. They also need to address the inevitable wear and tear of rental units, which means easy and affordable maintenance is often a concern. Moreover, with so many luxury high-rise buildings being constructed, there is a growing need for developers to accommodate middle class housing, even in places where land and labor are expensive. From an occupant’s perspective, a new condo, townhouse, or rental unit is home, and so aesthetics, cleanliness, and comfort are important, especially in situations when they don’t control the interior design of the space.